The numerically controlled shaping-sanding machines with 4, 6, 8, or 10 heads execute milling and sanding operations controlled by a new-generation, fully digital, numerically controlled system. 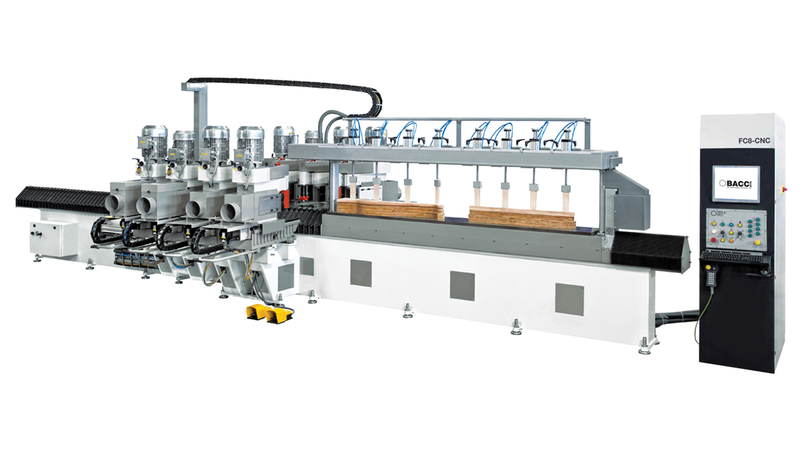 These machines deliver twice the production of traditional machines as well as exceptional finishing of machined pieces. They feature an extremely easy machine set-up and a user-friendly, Windows-based programming system.